I have been checking my Google Adsense Payment History like one week ago. You see, I normally cash out my money from CIMB in Queensbay Mall. My kids love to go there for shopping but it is way out of my home. So, I had been telling them to wait for Google Payday so that we can kill two birds with one stone. Moreover with the petrol price, we do not simply drive that far for nothing. Go withdraw money from Western Union to CIMB and then, bank in CIMB. Eheh, I am very smart, ok? The first CIMB is the hubby’s. The second CIMB is my account. Don’t ask why there are two names. Google hates me. So, folks, it is Google Payday. And this is the legitimate Google Payday and not the scam. Beware of scams where people promise you easy money without doing anything. Nothing is free. Woohoo! It is the end of the month again and….here’s how you can save money. Buy Baskin Robbins! Hahahaha, 31% off the regular price on the 31st of each month. Oh wait..is this available all over the world or only in Malaysia? 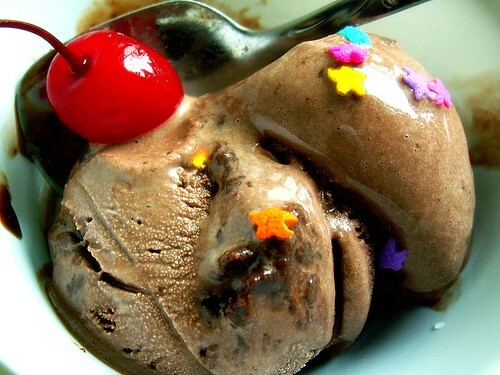 too lazy to find a real baskin robin ice-cream picture oso dare to say. seems like lazy people oni can earn alot of money leh. Eating too much ice-cream will result a better, fatter tummy size.. yet new pants, shirts, under garment etc needed. Can’t get my payment from CIMB. System always down at the branch in Genting HQ, especially by end of the month. It needs a banana on top of it.